Full Irish Breakfast starting at 9AM. Delicious Food Specials all day. Pretzels and Ale Cheese Fondue. Beef & Guinness Pie. Irish Nachos. Pork Shepherd’s Pie. Corned Beef & Cabbage. 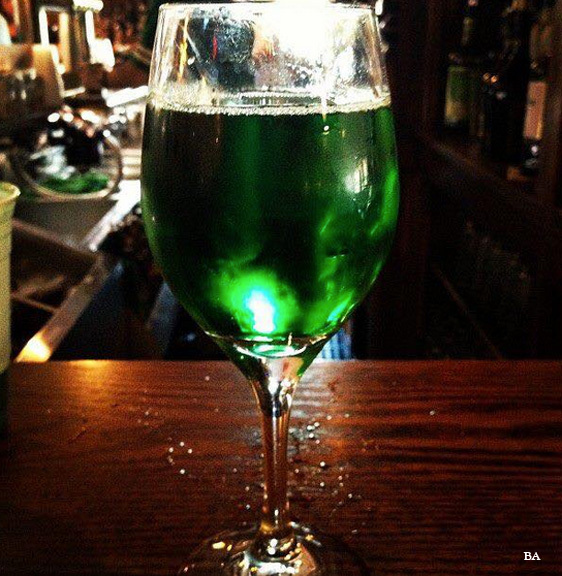 $5 Guinness Pints, $5 Jameson Shots All Day. 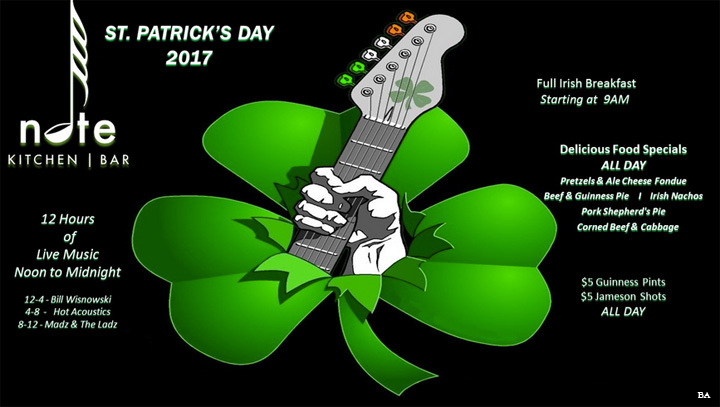 12 Hours of Live Music All Day. Note Kitchen | Bar offers modern American cuisine fused with international influences and paired with wines, craft beers, artisan cocktails, and soulful music. Our menu is created using locally sourced, fresh ingredients from neighboring farms and local waters. Offerings will change frequently based on seasons and availability of ingredients. We are committed to our community. 2% of our profits are donated to local food charities. Veterans will receive 10% off their meal at every visit. Join us at Greenwood’s for a “Tap Takeover”! Every month we feature a unique craft brewery with a variety of their best offerings. The food at Greenwood’s includes comfort favorites with something for everyone. The tap room is filled with friendly banter from locals and travelers alike enjoying one of the many different beers available on draught. 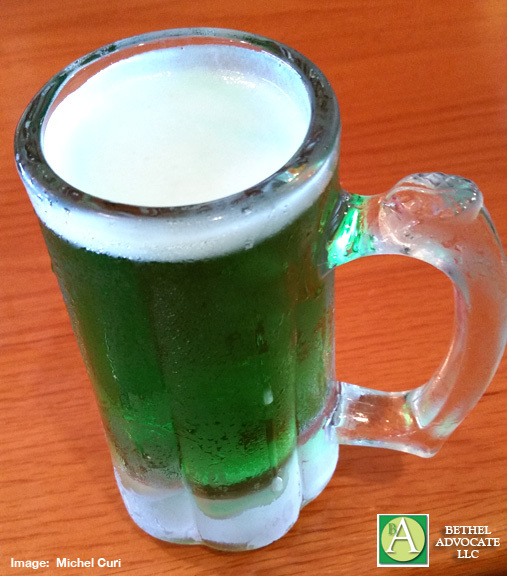 Greenwood’s Grille and Ale House is the perfect spot for just about anything! 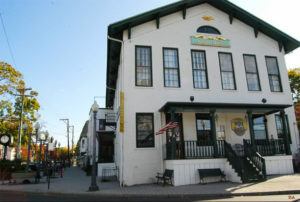 Greenwood’s Grille & Ale House is located in downtown Bethel’s historic Opera House. 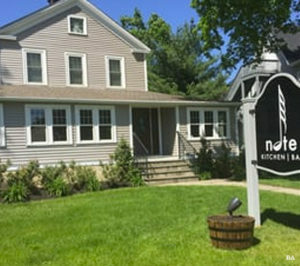 We are thrilled that since we opened our doors in May 2010, we have become a destination point for many Bethel & Danbury area residents. We are proud to offer 19 craft and specialty import beers on tap along with a great selection of bottles! We offer a full menu with something for everyone serving lunch and dinner 7 days a week. We also have a children’s menu plus brunch every Sunday. 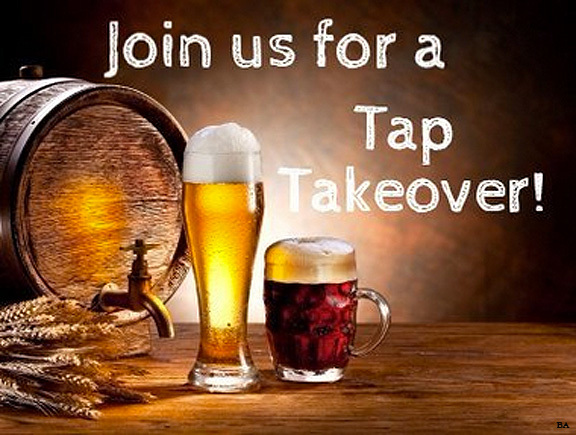 Be sure to check our Events & Entertainment page for upcoming tap takeovers, live music, trivia nights and more! Greenwood’s Grille & Ale House is the place to go for great food and craft beers & ales in a warm, friendly atmosphere that abounds in this renovated Bethel, CT landmark. 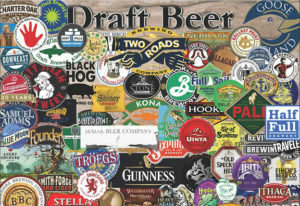 Click here for Beer List. Portofino is BACK! Rocco and Louie have re-opened! Come on by and visit us soon! Thank you for your patience. All Gift Certificates are honored and welcomed! 8:00 pm Drawing: $100 Gift Certificate to Portofino! PORTOFINO opened September 2011 with our terrific Northern Italian Continental MENU. 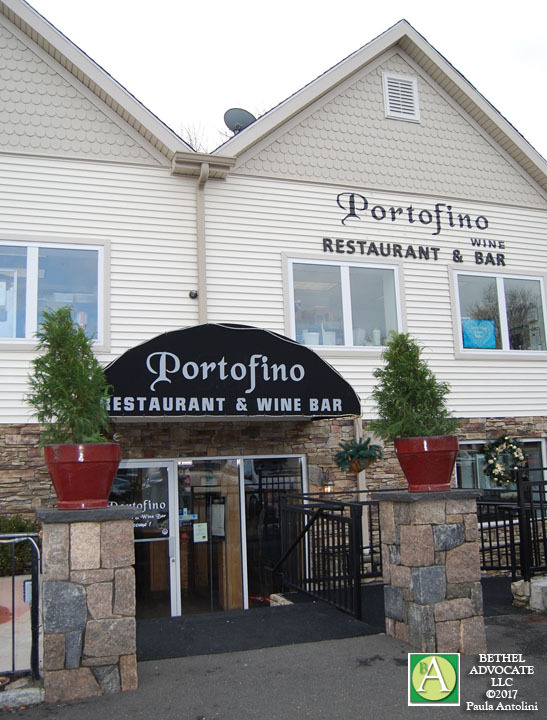 Known for its warm and inviting atmosphere, PORTOFINO RESTAURANT is becoming one of the favorite places for both locals and neighboring towns. For the coming celebration/holiday call us to make a reservation. You will have a great time! 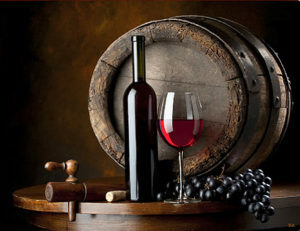 Click here for wine list and cocktail menu. 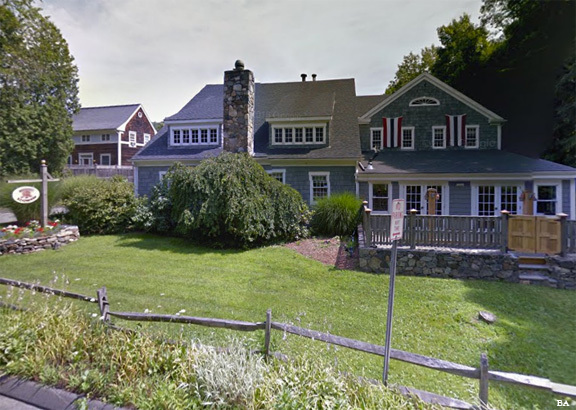 The Putnam House is Bethel Connecticut’s Premier Fun Party spot as well as offering an elegant Dining Experience. Check out our Outdoor Patio area as well as Our Party rooms that are available for your private functions . The Putnam House Restaurant is located at 12 Depot Place in Bethel, Connecticut. 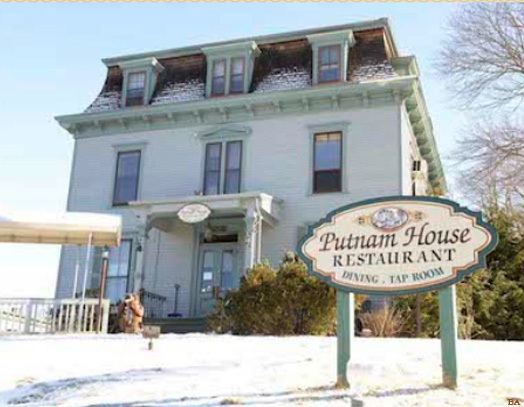 The Putnam House Showcase: Open for lunch 11:30AM to 5PM Monday thru Saturday, dinner 5PM to 10PM Monday thru Thursday; 5PM to 11PM Friday and Saturday; late night menu, appetizers, sandwiches, desserts in the tap room; Come in for our Early Bird Dinner – Monday through Friday 5PM to 6PM. All Entrees are $11.95. Sunday Brunch – Brunch Specials 11:30AM to 1:30PM – Sunday Dinner Menu served from 11:30AM to 10PM. Major credit cards; reservations for parties of five or more suggested; handicapped accessible; full bar; food service at bar; children’s menu; continental; vegetarian selections; smart casual; take out; seasonal patio dining; private functions; free parking in rear or in municipal lot across the street. We love good food and, even more so, craft beer, and there is nothing we like better than sharing it with friends and family. The fun, the laughter, the memories. That is the kind of place we want MHP to be – not just a local restaurant, but a second home. Click here to view what’s on tap. 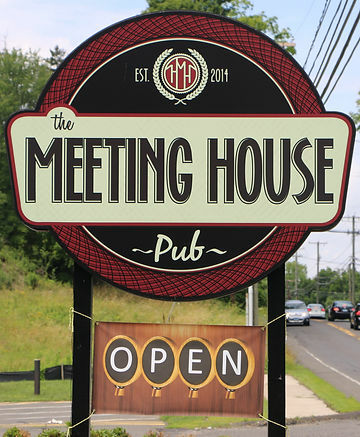 The Meeting House Pub (MHP) was created from the vision of three Newtown families looking for a comfortable, welcoming place where you could go for a great, affordable meal or to have a drink with friends. We spent the past 18 months planning every detail inside and outside. We bring a range of experience to MHP – restaurant front-end and back-end, beverage industry, operations, marketing, and human resources. More importantly, we bring passion … passion for life, family and friends. We have hired a great team, and we hope you agree. As always, let us know how we are doing. When you first walk in the door, you will see MHP is completely different from it’s predecessor, La Fortuna. The open floor plan, raised ceiling and new windows add light and warmth. The bamboo floors, the red oak booths, benches and bar, and the detailed craftsmanship throughout enhance the buildings’ character. There are leather couches and chairs in the fireplace and shuffleboard rooms and TVs strategically located in key areas for optimal viewing of sporting events. 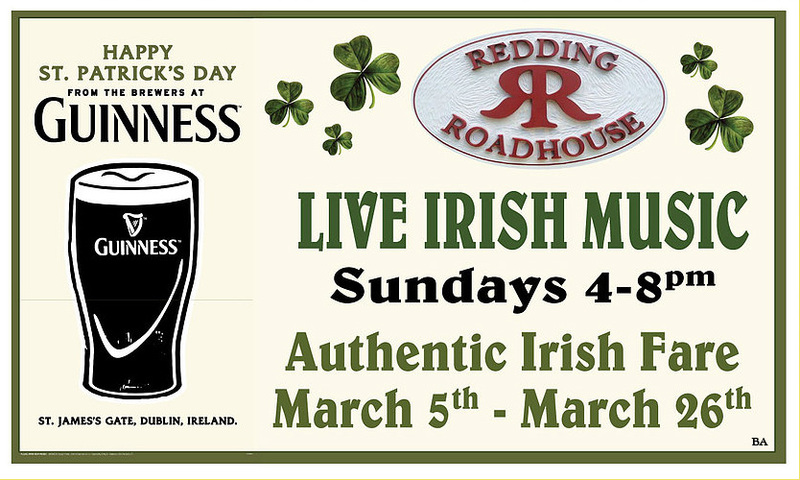 Through March 16, Redding Roadhouse will have Irish inspired food specials as well as Irish music on Sundays from 4-8pm. JOIN US FOR LIVE MUSIC EVENTS OR CALL TO FIND OUT ABOUT HOSTING YOUR ENGAGEMENT OR PRIVATE EVENT WITH US TODAY! 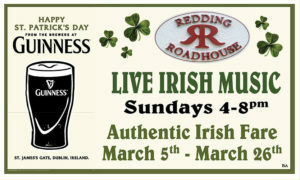 The Redding Roadhouse has tons of events for you to come join us at. 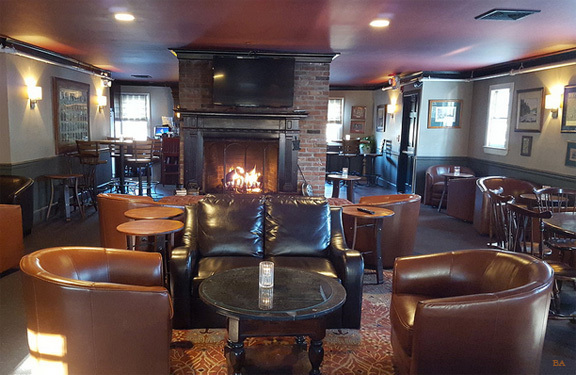 Enjoy a drink in our bar while listening to one of our live bands, or kick back and relax in front of one of our many fireplaces. We are also happy to provide a beautiful venue to host your private event or engagement party here! Call us to learn more about our venue information today! Doors open at 9am! The day’s schedule of events includes live music, a DJ, Irish fare, party favors, green beer, the NY Parade live on the big screens, and more. 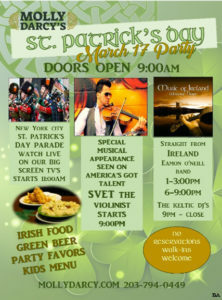 The Keltic DJ’s, Irish Food, Party Favors, Green Beer. 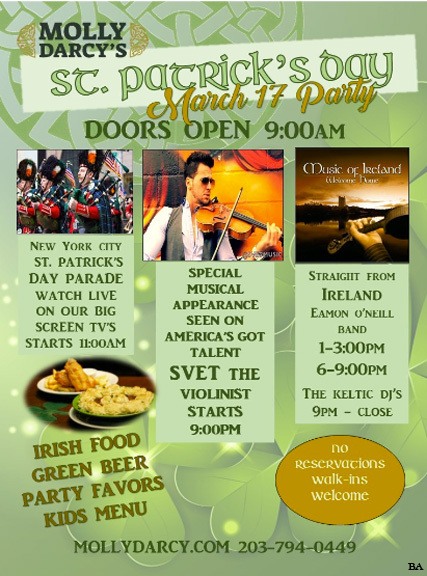 Come watch the NY Parade live starting at 11:00 AM on our Big Screens. THEY ALWAYS COME BACK TO MOLLY DARCY’S! 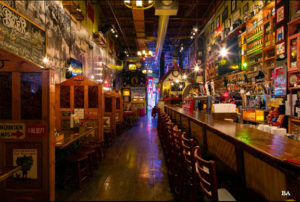 Molly’s is Greater Danbury’s liveliest bar for entertainment, great food, cold beer and classic cocktails. Well known for social banter among locals, live music, and a friendly and accommodating staff, you’ll quickly find yourself at the bar enjoying a Guinness, or sharing a meal with family and newfound friends. Sláinte! Open at 9am with full Irish breakfast! $4 Jameson Shots. Music with Tipperary Knights 6p.m. – 9:30p.m. Bagpipers 6:30p.m. Happy Hour, Karaoke, Live Music. O’Brien’s Pub & Restaurant located in Danbury, Connecticut is the perfect place to enjoy some fresh from scratch food and tasty cocktails at the end of a long day. Originally from Ireland, John O’Brien knew that that the local community would enjoy some traditional Irish hospitality and he was right. Locals and travelers old and young have come to love O’Brien’s. 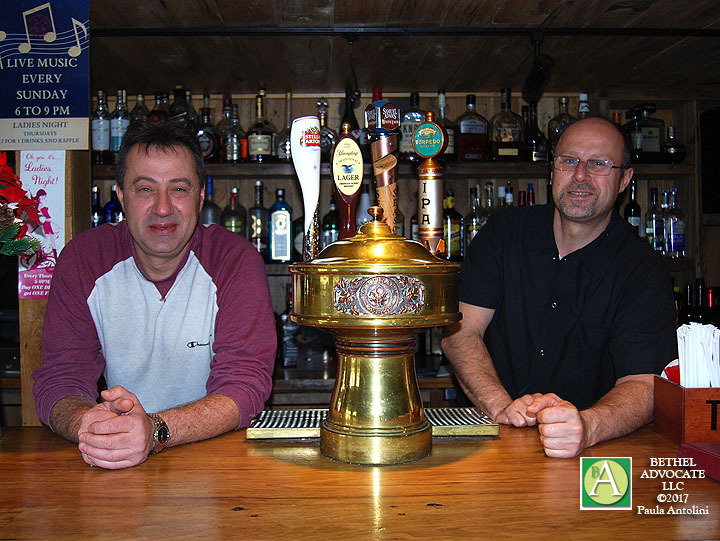 After a fire shut down the pub in 2015 the community couldn’t wait for news of them reopening. Finally, in time for St. Patrick’s Day 2016, they hosted their Grand Opening, unveiling a gorgeous and more traditional Irish facade and a great new space for dining, enjoying some “craic” at the bar, or hosting your private event. 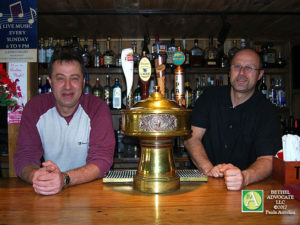 Once again the family at O’Brien’s welcomes you with open arms – treating your family like their own! Slainte! Click here for specials and menus. Sundays – Happy Hour: $1 off ALL drinks ALL DAY. $6 10ct. Wings ALL DAY! Mondays – Happy Hour: $1 off ALL drinks ALL day. $6 10ct. Wings ALL day. $6 McGuire’s Burger with Fries 11am-3pm. 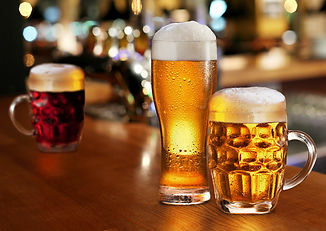 **NEW**: Winter Monday Special- $3 pints of beer!!! Tuesdays – Happy Hour: $1 off ALL drinks ALL DAY. $6 McGuire’s Burger with Fries ALL DAY! Wednesdays – Happy Hour 11am-7pm: $1 off ALL drinks. $6 McGuire’s Burger and Fries 11am-3pm. Thursdays – Happy Hour: $1 off ALL drinks 11am-7pm. $6 McGuire’s Burger with Fries 11am-3pm. Fridays – Happy Hour: $1 off ALL drinks 11am-7pm. Saturdays – Happy Hour: $1 off ALL drinks 11am-7pm. McGuire’s Ale House offers great food and drinks at an incredible value. Our newly renovated tavern is the ideal meeting ground for people to come and relax, have an enjoyable lunch or dinner, socialize with friends, and watch sporting events on one of the largest collections of HD TV’s around. 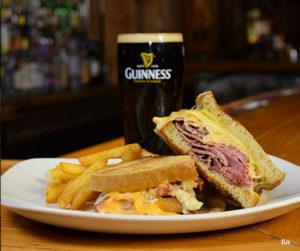 Designed to attract a broad variety of customers, McGuire’s Ale House menu focuses on food quality, freshness and value. The menu offers delicious steaks, healthy salads, robust sandwiches and desserts. 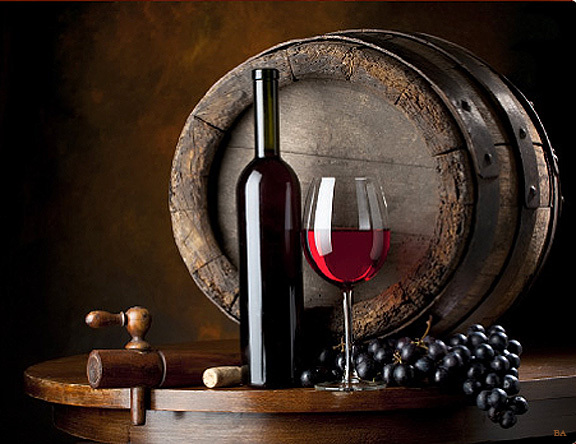 Served within the comfortable social atmosphere of a neighborhood family tavern. The bar offers 8 beers on tap, as well as favorite bottled beer choices, wine list, and premium liquors. The restaurant menu provides upscale food daily and features specials throughout the week. In addition, McGuire’s is Wi-Fi capable for your convenience and comfort. 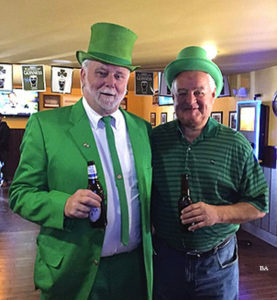 With the opening of O’Connor’s Public House in Brookfield, Connecticut, Bobby O’Connor is hoping to transfer the same warmth and mystique that encompasses all of the visitors to his family’s establishment in Ireland. Upon entering the newest addition to the Brookfield Business community, visitors will encounter a beautiful large mosaic of turn-of-the-century Cork City, Ireland and they will also be greeted by a very friendly staff. Patrons will be able to order food from a carefully selected Irish Fare’ Menu or maybe just partake in a round of your favorite spirits from our beautifully appointed bar which will include our own Gourmet Coffee Bar.